The Rutabaga is thought to have originated in the Middle Ages. The Rutabaga prefers is a cool, long growing season. 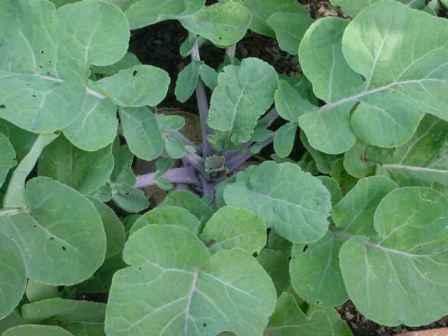 Besides harvesting the roots the foliage may be harvested for greens as well. The Rutabaga is a cross between the Cabbage and the Turnip. Even though the Rutabaga is similar the Turnip, there are differences. Rutabagas leaves are smooth, waxy, bluish-green. 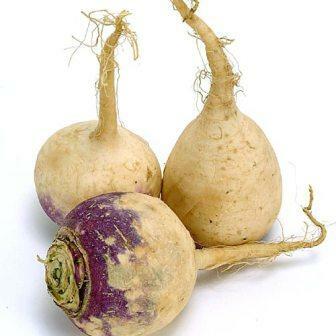 The Rutabaga root of most varieties is yellow, where as most Turnips are white and have rough, hairy leaves. Diseases: Downy Mildew, White Rust, Sclerotinia Stalk Rot (White Mold), Leaf Spots, Virus Mosaic.